You want to do more art in your classroom but you don’t want the MESS. You know all the reasons why you should do more art in your classroom. You know your kids love creating, painting, and glitter. But aftermath of an amazing art project can look like a tornado went through your classroom. Check out these 12 amazing life changing art tricks and you will be excited to do art in your classroom again! So simple and so amazing. Just line your paint cups with a baggie, fill it with paint, snap on the lid, and put the brush in. When you are ready to change out the paints, just wash the brushes and lids. The paint cup will be CLEAN! I keep my brushes in my paints for a week. I just can’t find the time to wash them daily. This set of brushes has lasted me for over 2 years. The brushes are made by Crayola and I found them at Target. Kids don’t have to leave the activity to throw away trash or get another supply. It is all on the table! You will NEVER have to cut out tiny shapes again! Start collecting paper punches NOW! They are a life saver. I buy mine from craft stores when they are on sale. They come in all kinds of different shapes, sizes, and fun designs. Keep them in your art center for kids to use too. It is a fun way to sneak in fine motor work and kids LOVE them! Don’t throw extra shapes from projects away. Keep a bin of paper shapes for students to use in your art center. They come in handy when you only need a few shapes or for shape collages! I found these plastic salt shakers at the Dollar Tree a year ago and they are amazing! They work great for colored sand too! If you want less glitter to come out when they shake it, just hot glue a few of the holes closed at the top. 6. Keep Tubs of Collage Materials ready to GO! Save prep time and keep tubs of various collage materials in plastic tubs in a cabinet. I keep cut ribbon, tissue paper, paper, cut straws, string, small foam objects, and eyes in plastic tubs in my art cabinet. I make a ton at the beginning of the year (the buckets were full) and they last ALL year! These tubs are just are food containers I found at the Dollar Tree. Bonus…they come with lids too! Need makers for a table activity? Just grab a few buckets to set on the table. 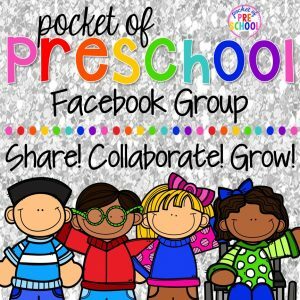 Want to take small group outside? Just grab a few buckets and go outside. The buckets are easy for teachers and kids to grab when they need them. I keep colored pencils and markers in buckets. I keep crayons in clear food containers so you can see the colors easily. It is so frustrating and sometimes heartbreaking to a child (and teacher) when they worked so hard on an art project and it falls. I keep trays next to the art rack for all the tiny treasures kids make. Find an old sheet and turn it into a paint tablecloth! When you life up the tablecloth all the paint and glue is on the tablecloth and NOT the table. Don’t worry about setting it out to dry. I just fold it up, wet paint and all and put it on the shelf. It easily pulls apart when you go to use it the next time. Set the environment up for students to be independent! Put the art smocks and small trays in a place where students can get the out and put them away by themselves. You can find plastic by the roll at a fabric store (some Walmart stores have it too) or you can use a clear shower curtain. I was covering it with a plastic table cloth and changing it at the beginning of each school year. Then found Prekinders tutorial and she used thicker plastic. You can read all about it here. I taped a border strip to the back of my easel (the middle part is not attached). Some of my kids can’t reach the top of the easel. They always need help clipping their paper on and clipping it off the easel. Not anymore! Students clip their paper to the boarder! It is at their level and they can do it independently! WHOOO! No more water puddle from your art supplies air drying! Just plop the tray, brush, etc. in the drying rack to air dry. So simple and so wonderful! I wish I new ALL these tricks when I first started teaching! Oh well, better now than never. Remember these life saving art tips…Pin this on Pinterest! Thanks so much for reading until the end. Go grab your Art Easel Routine FREE from my TPT store. Just click on the cover below!